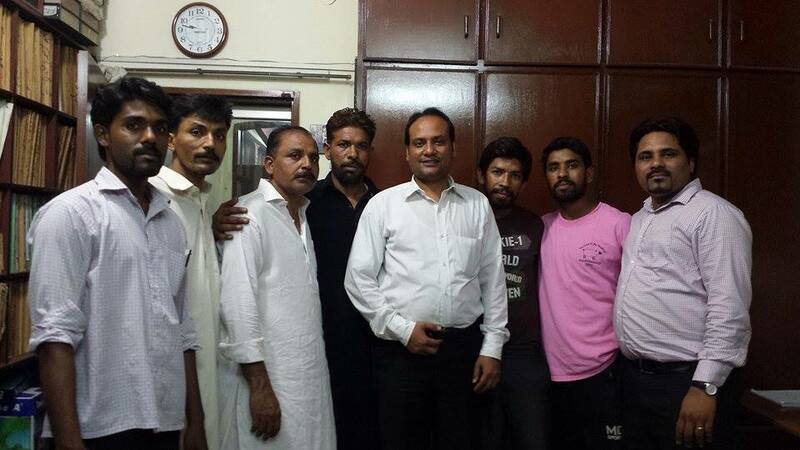 CLAAS succeeded to released another 09 accused persons/ victims of Youhanabad, five were released on July 15, 2015 at 9: 00 pm. namely Riaz Masih, Nazir Masih, Arshad Masih, sons of Javed Masih and Tariq Masih, Naeem Bhatti sons of Naseem Hayat. 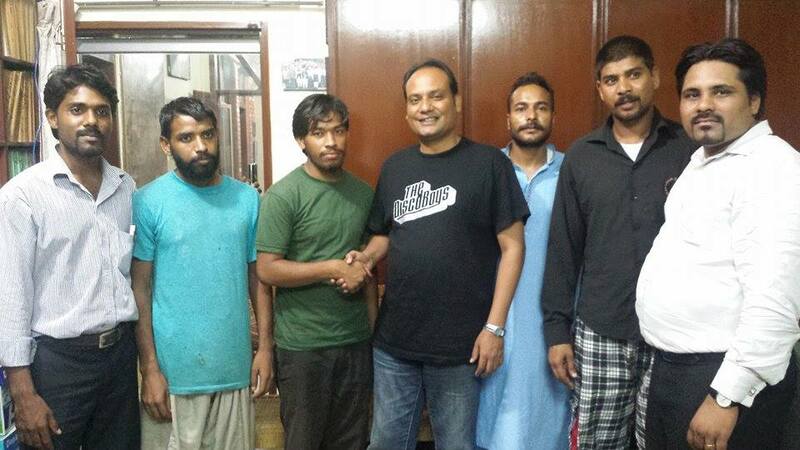 Further four accused persons/ victim were released on July 16, 2015 namely Tariq Masih, Asif Masih, Ishafaq Masih sons of Javed Masih and Yousaf s/o Mashooq. CLAAS received them outside the jail and after releasing, they all visited CLAAS office to say thanks for CLAAS efforts. CLAAS praise the Lord Who made it possible for the release of Christian victims. After the incident of Youhanabad police kept the arrested persons at unknown place and did not allow the families to meet with them, even the parents of accused were not sure of whereabouts of children. But as the CLAAS director Mr. Joseph Francis filed a writ petition No. 8344/15 before Lahore High Court Lahore for the recovery of detained persons, the police produced them before the Anti-Terrorism Court who sent them in judicial lockup at Kot Lakhpat Jail Lahore. Parents were restricted to meet their children even in the jail. Later CLAAS with all hard and fast moved post-arrest bails of 28 accused persons in two FIR Nos. 295/15 and 392/15 out of which CLAAS succeeded to get release 19 accused persons in both FIRs so far. On June 23, 2015 Divisional Bench of Lahore High Court Lahore comprising on Mr. Justice Anwar Ul Haq and Mr. Justice Shahbaz Ali was pleased to grant the post-arrest bail of 09 persons filed by CLAAS in case FIR No. 392/15 registered at police station Nishtar Colony Lahore. During the court of arguments CLAAS lawyer Mr. Tahir Bashir argued that the all accused are innocent; no specific role has been attributed to the accused; noting has been recovered by the accused; no incriminating martial is available on the record to connect the accused with the alleged offence. Moreover the accused was identified by the police through CCTV cameras and in the circumstance the identification parade has not weight in the eyes of law. The Honorable court considered the arguments advance by the CLAAS lawyer well reasoned and admitted the accused on post-arrest bails. Further the Honorable Lahore High Court Lahore approved the case for reporting. After the sanction of the bail order by Lahore High Court Lahore on July 07, 2015 the court issued “Rob Call” to the jail authorities for the release of accused persons. On the same day at evening Mr. Joseph Francis along with his team were present outside the jail to receive the accused when he was informed by the jail authorities that section 412 of PPC was missing in the Rob Call. It is worth mentioning that after bail granting order the police during investigation inserted section 412 in the record. After knowing this fact on July 13, 2015 CLAAS lawyer Mr. Tahir Bashir Advocate moved two criminal Miscellaneous Petitions (CM No. 2701-M/15 in Bail Application No. 7144-B/15 and CM. No. 2702-M/15 in Bail Application No. 7145-B/15) before Lahore High Court Lahore which were allowed on the same day by the court of Divisional Bench (DB) Mr. Justice Anwar Ul Haq and Mr. Justice Arshad Mehmood Tabsum and section 412 PPC was ordered to be added in the Rob Call. The CLAAS court clerk Mr. Aqeel Naveed under the supervision of CLAAS lawyer again get issued the correct Rob Call from the trail court and sent the same to Kot Lakhpat jail authorities. They all shared that police confined them in different police stations and in the due course of time, police tortured them physically and mentally and these all were beaten profusely by shoes on their faces and stick on feet, back and shoulders. Police bitterly beat them bare clothes and rolled a heavy iron rod with full force. The police also along with coalition staff chanted filthy language during all this time. 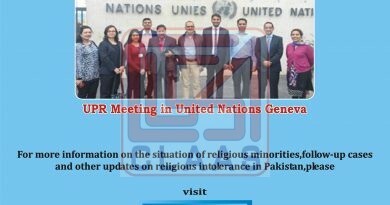 The police forced them to nominate other protesters possibly involved in the protests in twin blast at Youhanabad churches also forced them to nominate the religious leaders. The police treated the Christian victims as the lowest degree of human beings thus their behavior was worsted. Police gave them an option to trade their freedom with converting into Islam. These all were compelled to starve at least every two days before they were served a meal in the interim of the interrogation that was a hard period of their lives. Upon asking what was their role and involvement in the protest, they said they were not involved in any activity during the protest.